The International Resource Panel and a number of partners have developed a new online tool that that allows countries to see “hotspots” of unsustainable practices in consumption and production. The tool was launched at the fourth session of the United Nations Environment Assembly, meeting in Nairobi, Kenya. 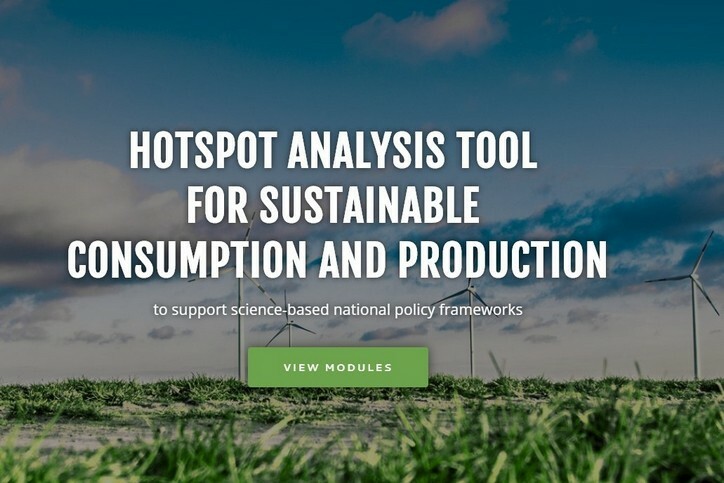 Known as the Sustainable Consumption and Production Hotspots Analysis Tool, the online application analyses the environmental and socio-economic performance of 171 countries over the past 25 years to provide scientific evidence of areas where improvement can be made. The tool builds on a powerful national footprint calculator that combines environmental and socio-economic data with trade information. It allows the tracing of environmental pressures and impacts along the supply chain of the goods and services consumed within a given country, an essential dimension of our globalized economy.